If you plan to fly to Spain with a connection from USA to UK or any other long distance flight, fatigue and time change can play a bad game. Learn what it is and how to beat jet lag with some easy tricks for long distance flying. Those who aren’t affected by the time change, can fly to the other end of the world and sleep naturally. When they arrive, they will feel as if they have not moved from home. Does jet lag affect you? 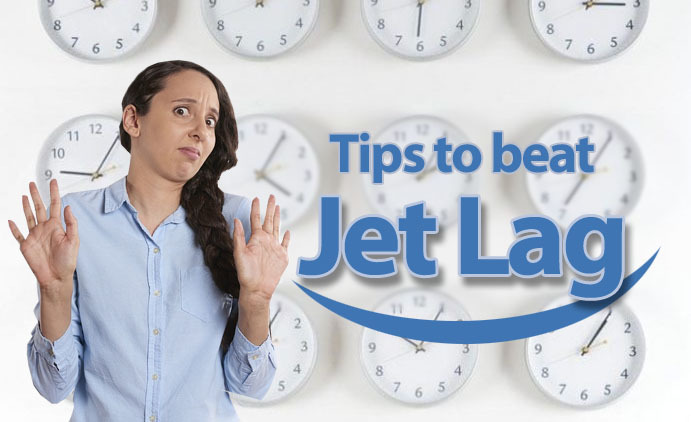 Don’t worry, we’ll give you a few simple tips to prevent jet lag from becoming a problem. Flying is relaxing, adapt to enjoy flying and you will sleep without problems. What is jet lag? 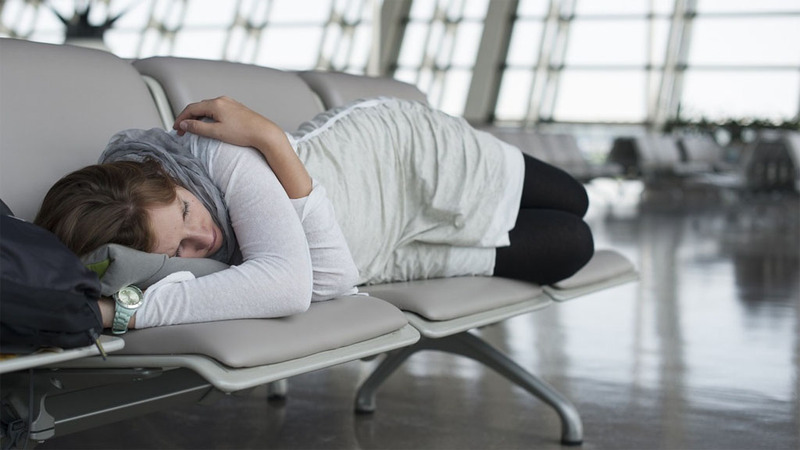 Will you suffer from jet lag when flying? The human body is used to performing a series of tasks during a 24-hour period. These routines are called circadian rhythms. Eating and sleeping are part of the body’s routine. A drastic change in eating and sleeping can have health consequences. Flying and drastic changes in our body’s schedule can bring fatigue, loss of appetite and trouble concentrating among other symptoms that are best to avoid. If you fly from UK to Spain or within a similar time zone you will have no problems, a change of up to 4 hours is barely noticeable for most people. When does the jet lag disappear? 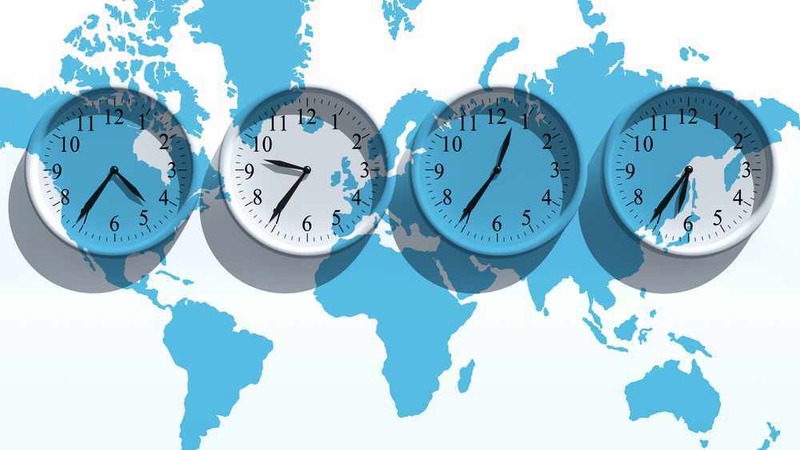 There is no simple answer, the jet lag affects different groups differently. It will depend on the age and general health of the traveller. Jet lag East to West or West to East? Which one is wortst? It is easier for the jet lag to appear if you travel east than if you travel west. In the second case the day will be longer, so you’ll feel like waking up early in the morning. How to beat jet lag from USA to UK or to Spain? If you arrive to Malaga from USA, the best thing to do is to try and sleep a little earlier at home some days before. This solution is suitable for any destination of course, in case you fly west it might be helpful to sleep one or two hours later than usual. This way you will get your body accustomed to the upcoming time change. In addition, if you extend your meal schedule and sleep time, you will make it easier for your body to adapt. Although it may seem that if you don’t get enough sleep you will be able to sleep on the plane and therefore adjust better to the time change, it’s a mistake. A drastic change of routine in the body at the last minute could be problematic. Always sleep well before flying, it will make your body ready to deal with the feared jet lag. The flight will be long, the best way to start getting used to the time shift it is to change your clock after boarding. You will gradually adapt to the new time. Try to sleep if you arrive in the morning or wait to arrive if you land at night. Some aircraft have a light and humidity control that simulates the natural phases of the day, they will activate it when necessary to avoid jet lag to passengers. It will be a long journey, nothing worse to fly with a heavy stomach feeling or even worse, pain. It is a good idea to be hydrated and eat lightly before boarding. Do not hesitate to take a short stroll during the flight if you need, it will help you relax. Some people relax by having a drink or a beer before flying, it is not advisable to abuse. Using sleeping pills to avoid jet lag is a mistake, in the worst case you will accustom your body and you will also notice heaviness at your destination. Don’t drink coffee or a caffeinated drink if you know that you have difficulty to sleep. It will be a problem that will increase the time for recovering from the jet lag. It’s best to avoid caffeine unless you know for sure that it won’t be a problem for you to sleep while flying. If you are not sleepy you can order tea and watch a movie, look out the window or listen to a downloaded radio program until you fall asleep. While planning your trip, it’s a good idea to download your favorite programs to your mobile phone. You will be grateful to listen to them with the headphones during the flight and it will contribute to create a relaxed atmosphere. Flying must be relaxing, adapt to enjoy flying and you will sleep without problems. If you arrive to Malaga during the day the best thing you can do is go directly to the beach or swimming pool and have a good bath. Not only you will feel better but relaxed and make your body and mind start to assimilate the new schedule better. In case your flight arrives at night and you don’t feel like swimming pool or beach, you can always take a shower before going to bed. If you arrive during the day in Malaga, it is best to spend time outdoors and trick your brain into thinking that it is not yet time to sleep. If it is your first day, it is important not to sleep before nightfall. Try to hold on until after 9 p. m. (local time). The jet lag may appear, but luckily it goes very fast if you follow our advice. All you have to worry about is enjoying your well-deserved vacation.